University Housing units are all air-conditioned and fully furnished. Bluff, Prairie, and Woodland Hall rooms each have 2 x-long twin beds, 2 dressers, 2 desks and 2 chairs. If you purchase a deluxe private bedroom, the space will still have 2 sets of furniture. No furniture is removed from the unit. Evergreen Hall units are fully furnished. Private bedrooms have 1 x-long twin bed, 1 dresser, 1 desk and 1 chair. Shared bedrooms have 2 x-long twin beds, 2 dressers, 2 desks and 2 chairs. The living area in an apartment and suite has a couch, 2 chairs, and end tables. No furniture can be removed from the unit. Cougar Village apartments are fully furnished. The shared living area has a kitchen table and chairs, 1 couch, 2 chairs, 2 end tables, and lamps. Private bedrooms have 1 x-long twin bed, 1 dresser, 1 desk and 1 chair. Shared bedrooms and deluxe private bedrooms have 2 x-long twin beds, 2 dressers, 2 desks and 2 chairs. No furniture can be removed from the apartment. Wireless Internet available and in-room data jacks for free campus network access. Residents may access the SIUE wireless network. Choose Welcome to SIUE from your “available wireless networks.” Open a browser and click on Configure Your Device to use eduroam. Data jacks are available for each resident to connect a personal computer to the campus network. If you need help getting connected to the SIUE network, contact the Student Technology Center at 650‑5500 for free assistance. Expanded basic cable and the University Housing movie channel, UHTV-3.1. All units are equipped with a cable jack. 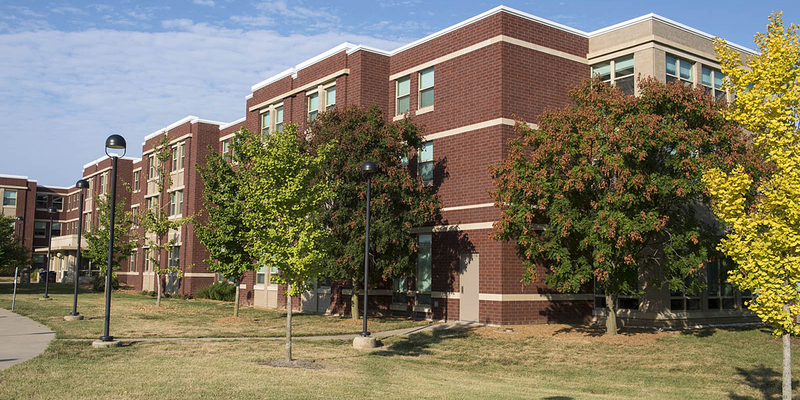 Expanded digital cable service is included in the University Housing contract payment. Residents with televisions connected to cable service will receive UHTV-3.1, the University Housing cable access channel. Follow these directions to tune your TV to all digital channels. TVs must be equipped with a QAM tuner to connect to the expanded digital cable service. Visit the free movie and channel page for a complete channel listing and movie information. One active telephone jack is provided in each unit. Residents must bring their own telephones. Private lines are available to residents for an additional cost. Campus calls are made by dialing the last four digits of the phone number. All off-campus calls must be made using a calling card. A calling card plan (STAN) is available through SIUE. More information is available at SIUE ITS. All utilities are included (water, gas, electric). 24-hour laundry available in each residence hall. The cost is $1.25 per wash and $1.25 per dryer cycle. A debit account may be established at the Service Center or online. The debit account allow use of payment from your Cougar Card (student I.D. card). Laundry soap is available for purchase on site. Individual locked mailboxes in the building lobby. 24-hour computer lab in available in each residence hall. A 24-hour computer lab is located in the activity wing. Software available includes word processing and spreadsheet programs. All computers have Internet access at no charge; however, there is a charge to print. A copy machine also is available in the lab. Beverages and snacks are available in vending machines on the activity wing. Drink machines also are located on each floor next to the elevator. Ice is available in the laundry. Each wing has a social lounge and study lounge. The social lounge is equipped with a cable television in addition to comfortable furnishings. The study lounge has tables and chairs for quiet study. Student Leadership Move-in Information Conference HousingLearn about our short-term summer housing options for camps and conferences.